With more than 20 years experience and one of the best safety records in the industry, APF Industrial delivers the expertise you should expect in high quality plant maintenance modification and construction services. We have the human and technical resources to perform the most complex and demanding jobs with the history to back it up. 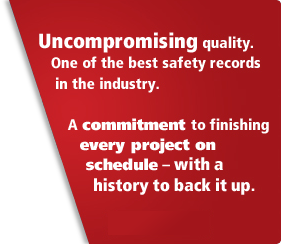 Our clients know we stand behind our commitments and deliver what we promise on every project. APF delivers on what we say we will. It’s the way we do business. Experience a relationship with APF Industrial.